An Islamic nonprofit organization plans to open a free health clinic in this office building in the 7400 block of Frankford Avenue. When neighbors learned a health clinic run by an Islamic nonprofit organization was coming to Northeast Philadelphia this fall, they had questions. "We just so happen to be Muslim, but that shouldn't deter people," said Ammar Shahid, a doctor who works with ICNA Relief, the nonprofit opening the clinic in the Holmesburg neighborhood. Free blood-pressure screenings, dental work, and counseling for people who can't afford basic health care will be offered. The clinic’s association with Islam — ICNA stands for Islamic Circle of North America — has sparked debate about tolerance in the Northeast, one of the city’s most rapidly diversifying areas. While most residents say they welcome the clinic, which the city Zoning Board of Adjustment approved last month, the word Islam still gives some pause. And in isolated cases, it has evoked hate. Councilman Bobby Henon, who supports the clinic, said his office has received eight angry phone calls in the last month. One person asked why Muslims need doctors, while another called the clinic a "terrorist group." "They don't reflect the neighborhood," Henon said of the callers. "They're just a very small — and I mean small — part of the community. We're not going to be intimidated by that." The Northeast lacks places that offer medical care for little or no cost, Henon said, and the clinic will help fill that gap. 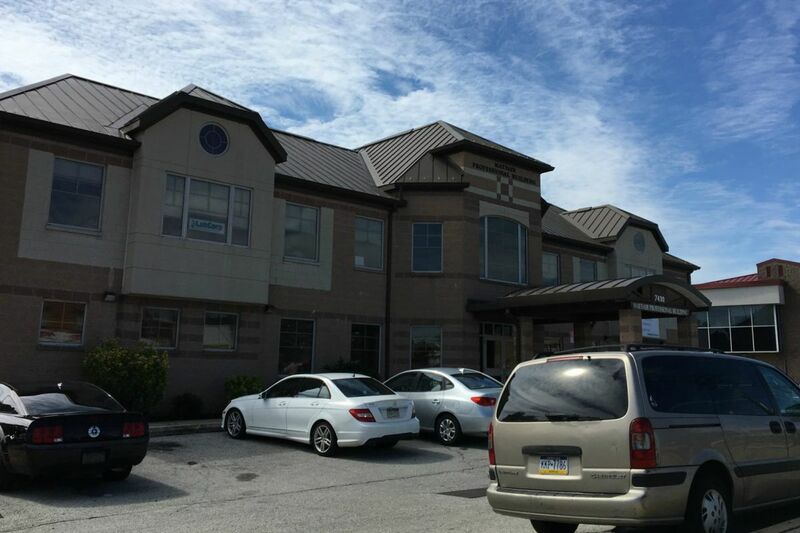 It will operate in an office building in the 7400 block of Frankford Avenue that already houses a LabCorp, a dentist, and a weight-loss center. A 10-minute walk down the avenue, past a day-care center, furniture shop, tavern, and the Mayfair Diner, employees at Creative Zone Hair Studio debated with customers whether everyone will feel welcome at the clinic, given its Islamic affiliation. Stacy Moebius folds towels at Creative Zone Hair Studio on Frankford Avenue. "I bet you nobody of a white race will go in there," Nancy Potalivo, who is white and owns the studio, told longtime client Paula Harvey, also white. "Do you think so?" "I don't know," Harvey, 66, replied. "If they're good doctors. …"
Stacy Moebius, a hairstylist at the studio, acknowledged the clinic may help the community. Yet when she hears Islam, she said, she can't help but think of terrorists. "Unfortunately that is what I think: those bad seeds," says Moebius, who is 41 and a mother of two girls. "I'm sorry. I'm a prejudiced person. I don't deny it." The uncertainty at the studio — no one was against the clinic; no one was making advance appointments, either — comes as the Northeast continues a dramatic transformation. Where in 1990, white people made up 92 percent of the population, by 2010, that number had fallen to 58 percent, according to a Pew study. Despite losing 125,000 white residents in that period, the Northeast as a whole grew, as more black, Hispanic, and Asian people moved into the area. About one in five residents — more than 95,000 in all — were born outside the United States. There is no official count of how many Muslims live in the Northeast, but community leaders say the number is growing rapidly. The reasons are simple: The cost of living is affordable, and diversity attracts diversity. At the Northeast Islamic Center, a mosque inside a home on Tyson Avenue in the Castor neighborhood, worshipers filled the basement, first floor, and second floor — and when those reached capacity, the front yard — for a recent Friday prayer. "It's packed," said Nayem Quano, 22, whose father leads the mosque. He estimated several hundred people, mostly of the Bengali community native to Bangladesh, had come. "You'll find people from all nationalities here." Muslims praying at the Northeast Islamic Center last month. Quano said he and other Muslims generally feel safe in the Northeast but still fear discrimination. At the mosque, passing drivers sometimes yell slurs such as "sand n—," as worshipers file out, Quano said. He also vividly recalls when, as a sixth grader, he was crossing the street on the way home from school and a driver yelled, "Go back to Iraq!" Quano was born in New York City. "You fear what you don't understand," Quano, a wedding photographer, said. "The fact that people think we're just some crazy murderers, or whatever they think, it's very sad." On Facebook, reaction to the health clinic reflected the misunderstandings that still exist. "I, in no way, want to be stuck seeing these Islamic people coming to the same building for their care cuz they are so bold and ignorant," wrote one woman, Vicki B. Redmond, when a story about the clinic was posted on the Mayfair Facebook page. "I'm not for them being in our neighborhoods like it's normal. It's NOT, go back to wherever you came from, cuz I don't want you here@!!" One person's suggestion to Redmond, who did not return a request for comment: "If you dont want to see muslims then move." ICNA Relief operates several free health clinics across the nation. This will be the organization's first in Philadelphia. An exact opening date has not been set. The doctors will be able to write prescriptions but won't give out medications such as methadone on site — an initial concern of the Mayfair Civic Association. ICNA Relief is a branch of the nonprofit Islamic Circle of North America, which was criticized in 2010 by the Anti-Defamation League after some speakers at a Chicago convention allegedly voiced anti-Semitism and accused the U.S. government of attacking Islam. ICNA said it deeply regretted any "unfortunate statements" and stressed that it rejects extremism. Robin Burstein, associate regional director of the ADL in Philadelphia, said the league does not consider ICNA to be a hate group. On the busy commercial corridor of Frankford Avenue, a reporter asked more than a dozen people about the clinic. Most said they had no problem with it. "It doesn't worry me," said Alexis Parente, 35, who lives in the Mayfair neighborhood. "A health clinic is great." Steve Wharton, 29, a Mayfair resident, said he doesn't carry dental insurance and may visit the clinic. He scoffed at people expressing fear: "They ultimately rush to judgment. It's not right." Fauna Den Haese, a bartender at Leneghan's Crusader Inn, quickly brushed off concerns about the clinic's religious affiliation. "So what?" she said. "It's Islamic. As long as it helps the community, who cares?"